Everything out of the box: view, organize, edit, present and share your photos. Ashampoo Photo Commander FREE combines menus, ribbons, side-panes and wizards into an intuitive user interface with customizable view modes for easy handling. And thanks to minimaps, scrolling within large images no longer requires dragging separate scrollbars. 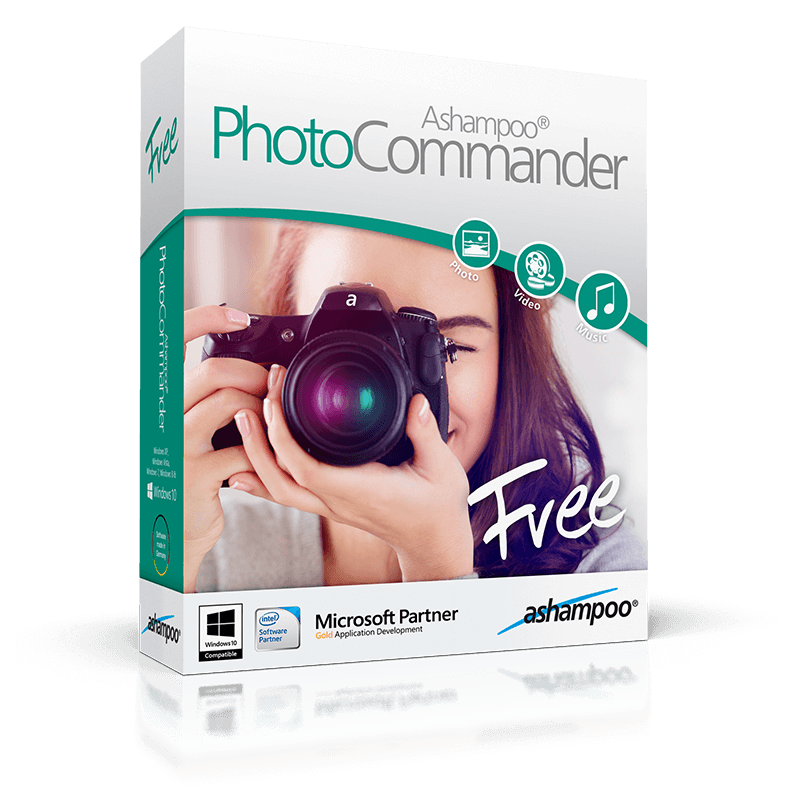 Ashampoo® Photo Commander FREE is a powerful image editing program available for download completely free of charge. Photo Commander is an essential collection of image editing, presentation and management tools. Built-in auto-optimization makes the most out of your photos while fixing unlucky shots to bring back those precious vacation memories. It only takes a single click to polish contrasts and colors or remove image noise and compression artefacts. The program also offers various manual settings to adjust brightness, color temperature and gamma values to precision through simple sliders. Numerous effects help you add that individual note to your photos and turn them into works of art. Creating collages is particularly easy and turns single photos into a masterful composition for every occasion. Photos can also be augmented with comments, symbols, speech bubbles or arrows for added details. The program can even help you with unlucky shots by removing red eyes, straightening horizons or eliminating scratches and spots. The program also comes with a myriad of features to help with photo management. Whether you need to convert, rename or find duplicates, Ashampoo® Photo Commander FREE has the right feature for you. Photos can even be burned to CD or DVD and highly customizable filter and group settings help you keep track of your collections. Use the slideshow feature along with the famous Ken-Burns effect to create stunning camera pans and zooms that will breathe new life into your photos. Multiple wizards help users find the perfect solution every time. Need to create a calendar, greeting card or internet album? This program's got you covered. Photos can also be batch-printed or turned into contact sheets and the program furthermore comes with a built-in metadata editor. 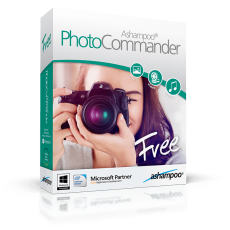 Ashampoo® Photo Commander FREE is suited for beginners and professionals alike. Discover the possibilities and make your photos look better!